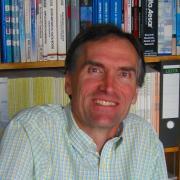 Prof. David McIntyre is the Undergraduate Advisor for Physics. To make an appointment, email phys-advising@science.oregonstate.edu. His office is in WNGR 311. This page provides information about courses that are needed in order to receive a BS degree in Physics. If there are any questions, please e-mail them to phys-advising@science.oregonstate.edu. The BS program in Physics is nominally a four year program. In the last two years, students take courses that study aspects of physics in great detail. The main undergraduate page, undergraduate-programs, gives a description of the characteristics of our program. To start the junior year in the Physics program, a student should have finished all preparatory courses in physics, mathematics, and chemistry. The sample program shows a possible path through the curriculum for students who are able to start MTH 251, Differential Calculus, in their first term.